RealAutoTips. 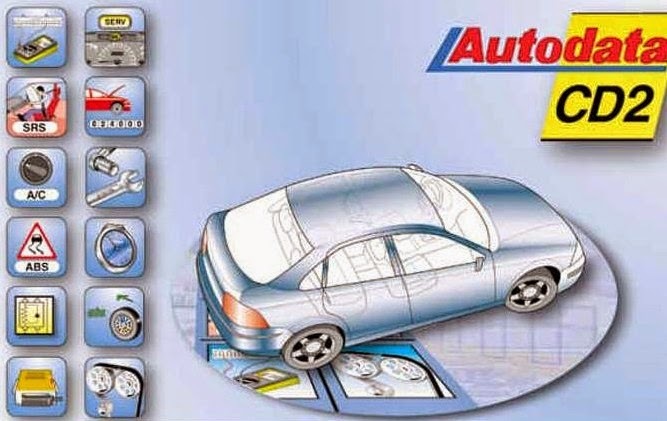 - One again autodata software version that developed before autodata 2011 version 3.38 is autodata version 3.37 that also popular until this day to diagnose and repair our car. In this time we will give global information about Autodata Version 3.37 Automotive Diagnosing and Repairing Software Without Free Download. According the information that we get, that autodata version 3.37 is the essential tool for professionals engaged in automotive service, repair and diagnostics giving access to a wide range of information on over 11,000 models from 80 vehicle manufacturers. Recent release of the popular database of car repair: tightening torques, technical information, location, installation timing, electrical. Us we know that in Autodata are included following marks: - Alfa Romeo, Audi, BMW, Chrysler, Citroen, Daewoo, Daihatsu, Fiat, Ford, Honda, Hyundai, Isuzu, Jaguar, Jeep, Kia, Lada, Lancia, Land Rover and Range Rover, Lexus, Mazda, Mercedes-Benz, Mitsubishi, Nissan, Opel/Vauxhall, Peugeot, Porsche, Renault, Rover, Saab, Seat, Skoda, Subaru, Suzuki, Toyota, Volkswagen, Volvo. On these marks, basically, detailed data are included. In Autodata there are also other world marks (including lorries and a tractor). etc. And also we know that there are many features that included as follow: Technical data, Vehicle identification, Service adjustments, Lubricants and capacities, Ignition system, Fuel system, Tightening torques, Brake discs and brake drums, Repair times, Wheel alignment, Timing belts, Timing chains and gears, Tyre sizes and pressures, Service illustrations, Service schedules, Service interval indicators, Key programming, Diagnostic trouble codes, Engine management systems, Pin data, Trouble shooter, Airbags/SRS, Air conditioning, ABS, Electrical component locations and Wiring diagrams.